Do you know what kind of car seat your child should be in? Is it properly installed? If your child is a tween or older, are they using a seat belt every time they’re in the car? Our kids need to be safe when they are in the car with us. Every 33 seconds a child under 13 is involved in a car crash in the United States. That’s a scary stat, isn’t it? For younger children, car seats can dramatically reduce the risk of fatality or injury – but over half of car seats are either installed or used incorrectly. For older children, buckling up is critical. A full 50% of children age 8-14 who were killed in car crashes from 2011-2015 were not restrained. These videos range from Choosing the Right Car Seat to Children Should Ride in the Back Seat. 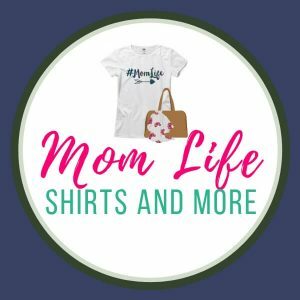 These videos are great for first time parents who may not be too sure about traveling safely with kids in the car, but they are also great as a refresher course for experienced parents. They would even be great for babysitters, caregivers, or grandparents who may not know the current safety guidelines too! The right car seat can make all the difference in a motor vehicle crash. Unfortunately, car crashes are a leading cause of death for children 1 to 13 years old. Despite their best intentions, many parents may not realize their child isn’t in the right seat. For example, many parents move their children to the next restraint type (car seat, booster seat, seat belt) too soon. 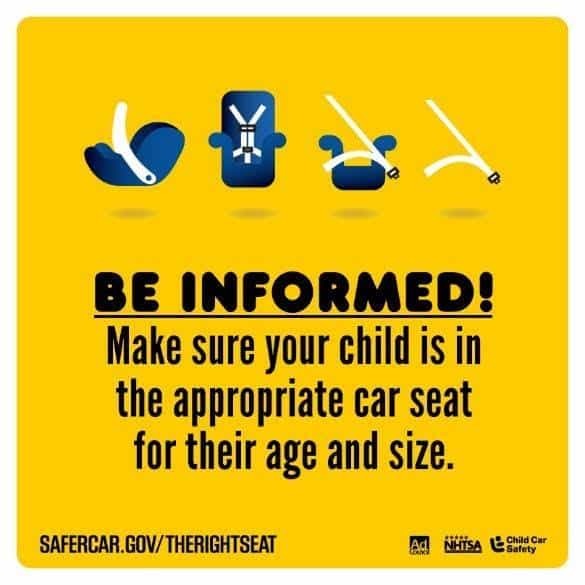 To make sure you have the right seat for your child, visit SaferCar.gov/TheRightSeat and be sure to check your state laws. But what about older kids? Just when you think you’ve got this parenting thing down, your child becomes a “tween” and you enter a whole new world. Let’s face it. It’s not easy to talk to tweens or teens about anything, but when it comes to their safety and life, car safety is pretty important, so it’s not something you want to skip talking about. 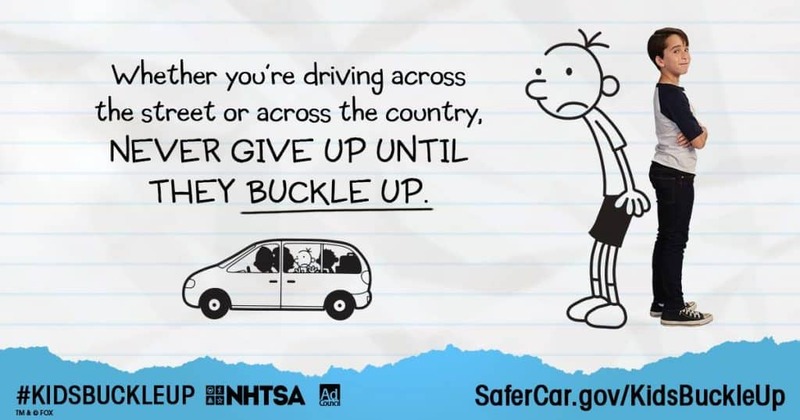 To help with travel safety, the Ad Council and the U.S. Department of Transportation’s National Highway Traffic Safety Administration (NHTSA) are unveiling new PSAs featuring characters from Fox’s upcoming summer road trip adventure Diary of a Wimpy Kid: The Long Haul. The PSAs remind parents and caregivers that even if kids argue and plead, parents should stand firm and always insist that their kids buckle up and sit in the back seat (the safest place for kids under the age of 13). My oldest, while not quite a tween yet, has the height and weight of the average 13 year old, so he doesn’t fit in booster seats anymore. I still make sure that he wears his seat belt, and he would be thrilled to see that Greg from Diary of a Wimpy Kid: The Long Haul does too. How do you talk to your kids about car safety and the importance of wearing a seat belt? This is a great reminder for every one. This is really good information. Everyone seems to be in a hurry, and parents often want to be their kids’ pal, that it can be hard to take the time, effort and fortitude to make sure safety is a priority for everyone. I’ve read most accidents happen near home. Good & important information for everyone with kids to remember. Thanks for posting. A very good post and reminder. So many buy car seats from parents to grandparents. You get the thing and sometimes the instructions are vague. One resource is the fire department… they will often assist in putting one in properly!